Explore the mysteries of our existence further, delving deeper with Appalachian GhostWalks' NEW "Paranormal Expeditions"TM! Have you ever ask the question, "What does the word "Paranormal" really mean?" 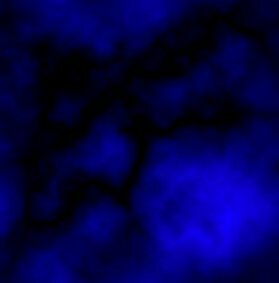 As an adjective, with the first known usage of the word in the year of 1920, the Merriam-Webster Dictionary defines "Paranormal" as: very strange and not able to be explained by what scientists know about Nature and the world. According to Quantum Physics, the Universe is not only strange... It is stranger than we can imagine! And, as one author once put it, there are more things in Heaven and Earth than are dreamt of in our Philosophy. As a species, we have always been curious about the world around us, continually seeking answers to all of the most profound mysteries of life. The pursuit for enlightenment with regard to the very nature of our existence is our driving force and is as much a blessing as it is a neccessity to our survival. While all of Appalalchian GhostWalks' Haunted History Tours and Vacation Packages entertain phenomenal amounts of data derived from painstaking endeavors to fathom the wondrous engimas of our world, we are quite pleased and excited to "unveil" the latest in our line of unique adventure tours. Click Here for our partner listing of Accommodations Providers. Call (423) 743-WALK (9255) for reservations. The hotel most highly recommended to our guests is the four diamond "AAA" five star / award winning Carnegie Hotel of Johnson City located across from East Tennessee State University - widely recognized as one of the most haunted campuses in the South! Appalachian GhostWalks guests will receive premier service and great discounts when you call to make your reservations for any of the following tour packages. The property offers a full service spa, knowledgeable and friendly staff, a roof top pool and terrace, and "Wellington's" - a fantastic dining experience. You'll have all the comforts of home and more right at your fingertips! Exclusions: Unless otherwise noted below, evening meals, accommodations, State taxes and fees, and tips for your "Mountain Mysteries Guide"TM are not included in each of the following package prices. Reservations are good for one year and are flexible and extendable without any fees or penalties until you use them. Availability is limited so book your Appalachian GhostWalks "Haunted Vacation"TM and/or "Paranormal Expedition"TM today with great fun for all!!! We are here to assist you with all your vacation planning needs. Help is just a phone call away! from 11AM to 11PM, U.S. Eastern Time Zone. This full-day adventure should not be confused with the fantastic "Legendary Cherokee Bigfoot Adventure" TM which is a moderately shorter hiking experience. While both offerings are great for children as well as the elderly, and rich in the history, mystery, and legend of this illusive North American Primate, by comparison, the "Legendary Cherokee Bigfoot Expedition" TM is an all-day Bigfoot excursion into the mountains of Southern Appalachia. The adventure will include touring the area by foot and by vehicle for the maximum Bigfoot experience, taking approximately eight to nine hours to complete. The expedition begins at 10 AM with pick-up at your hotel, bed and breakfast, inn, or campground concluding at, or shortly after sunset and excursion end times may vary. A full lunch is included and during the meal, you'll be treated to an informative orientation about the area, local sightings and experiences, and a general discussion about what is known, or rather what is not known about the creature. You'll be traversing through some of the most breathtaking mountain terrain you'll ever experience and your itnerary will include many activities throughout the day to include photography of trace evidence along the trail as well as tree knocking and more! This is an experience that any couple, small, or large group will never forget! For those who have seen the shows and studied the reports and those who have read all they can on the subject, this is the perfect opportunity for you to broaden those horizons and have the chance to experience what you have read and heard about for so many years. Appropriate footwear suitable for muddy areas along with a backpack, emergency rations, rain gear in the case of weather, as well as water and snacks are all highly recommended for this itinerary. 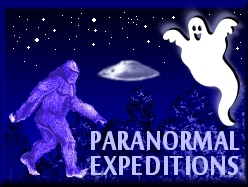 Though the Legendary Cherokee Bigfoot Expedition is available to book year round, the best times of the year for the most likely chances of having a sighting or an encounter with this enigma and in this area of the country just happens to be between mid to late March through early June and again from around the first of August through mid-November. It is very important to note that we care deeply about preserving and protecting both these mysteriouis animals, as well as the habitats in which they reside. This in mind, the location of where the tour will be conducted will be discussed on the morning of embarkation, during orientation. You may safely and securely reserve this package online by CLICKING HERE, or if you prefer to speak with a reservations specialist, call (423) 743-WALK (9255) 11 AM-11 PM U.S. ET. This package is perfect for anyone seeking to undertake a new and perhaps more in-depth understanding of the unseen world. Based on more than two decades of research and investigation in the study of ghosts and haunted places, we have designed a curriculum entitled "Ghostology 101" which was not only created to exceed each and every expectation, but to teach paranormal enthusiasts how to keep their experiences positive while out in the field. This tour package begins with a booking at one of our haunted and historic bed and breakfasts, or inns where participants will receive ten hours of class time and five hours of field credit time during which you'll learn more than simply how to point and click your camera! In this two-day seminar, which can be conducted on any two consecutive days throughout the year, weekdays included, we'll expound on techniques taught from a positive and Christian perspective that will challenge many of the concepts - often misconceptions of the invisible world. With this package, guests will enjoy a full, but modified version of two of our most enticing tours - the "Haunted Historic Jonesborough GhostWalk" as well as the "Haunted Historic Greeneville GhostWalk". After each day in class, participants will enjoy a relaxing evening meal with their instructor (not included) before embarking on an evening journey revealing intimate details of how to apply what you learn in the class to obtain practical results out in the field. With hundreds of past graduates, we are pleased to note that those participants who utilize the hands-on field training they receive following the class, have and are achieving some striking results. In addition, the course is designed to eliminate many fears about Ghosts and is appropriate for any age, children and adults alike. Many of our past participants are as young as five to ten years of age - the perfect age to learn about those imaginary friends! Delve into the world of the unknown and discover more about life after death and what happens to us when the body ceases to function. When our graduates complete this course, they are presented with a certificate of completion from the The ARC ~ Alternate Realities Center founded in 1994 with the very first season premier of the "X-Files", and are presented with the title - not of 'Ghost Hunter', but rather "Afterlife Researcher". Following no doubt what you may summarize as nothing less than a thrilling, yet personal paradigm shift, you'll look at the subject of the unseen world very differently, with less fear and greater understanding and compassion. Concluding around 11 PM - 12 AM each evening, this package requires a minimum of three over night stays with two full days to complete. Add this itinerary to any, or all of several other vacation and tour packages found on this page, or do it as a standalone trip. Including all class materials - the book "Ghostology 101" written just for this course, your own set of dowsing rods, and the "Learn How To Dowse and Listen For EVPs DVD". Securely reserve this package online by CLICKING HERE, or please call (423) 743-WALK (9255) if you would like to reserve by telephone. The "Appalachian UFO Close Encounters Expedition" TM is truly the first of it's kind any where in the world! On this full-day otherworldly adventure through some of Southern Appalachia's most beautiful countryside, you'll be taken on a journey from childhood experiences through to the adult life close encounters of your guide, stopping at various locations where many well documented unexplained aerial events have occurred during the past several decades. These reports were thoroughly investigated for their accuracy during the more than two decades of intense research helping to make this tour possible. You will simply be amazed to hear about what has turned out to be far more than just a light in the sky, but of the many diverse, close encounter experiences these mountains, as well as their people, hold secret. And, we may just have a few surprises for participants throughout the day! Our first two guests, a father and son who were visiting with us - both ex-marines no less, were witness to an as yet unexplained daylight sighting during the first "dry run" of this tour. Perhaps, you'll be as fortunate as they as we transport you to local hotspots with the best chances of having your very own strange and 'out of this world' sighting of unexplained aerial phenomena, observed by credible eyewitnesses in this region for many years. Following dinner at a wonderful area restaurant offering great food in a "sixties" style setting (included), your "Mountain Mysteries"TM Guide you will whisk you away for a live Skywatch, weather permitting, high atop a nearby mountain. You will definitely want to bring your camera, camcorder, and/or binoculars for a fun-filled evening under the stars. A seasoned backyard astronomer and winner of the coveted Celestial Achievement Award at Bays Mountain Park and Planetarium, your host will entertain with some great stories, sounds, and sights throughout the day. The Skywatch may be excluded, if desired, but is also included as part of this package at no additional cost for each participant. However, for UFO enthusiasts, closer encounter experiencers, or those who are just curious by nature, this part of the excursion is an absolute must. You may also combine this itinerary with any of several select lantern-led ghost and history tours conducted on location where strange sightings of unidentified flying craft exhibiting non-ballistic motion have ocurred while their tour was yet in progress! The cost to add on one of our phenomenal evening walking tours varies according to the number in your party at the time of booking. If any questions about which tour would be the best choice to combine with this expedition, please ask when calling for reservations. Good longevity and stamina are suggested for this unique, one-of-a-kind "UFO Close Encounters" excursion package as the day begins with an early pick-up around 9 AM and ends with drop-off at your hotel, bed and breakfast, inn, or campground at approximately 7-8 PM that evening if no optional add-ons for an evening tour, or Skywatch have been scheduled. If opting for a 2nd evening activity, drop-off should occur between 10-11 PM, approximately. You may securely reserve this package online by CLICKING HERE, or call (423) 743-WALK (9255) for reservations. Visit USUFOCenter.com for a whole "new world" of UFO information including many educational and enlightening articles and editorial, details on the organization, and one of the largest UFO photogalleries on the Internet. Once again, if you should need any assistance, call (423) 743-WALK (9255) for information and reservations, 11 AM to 11 PM.